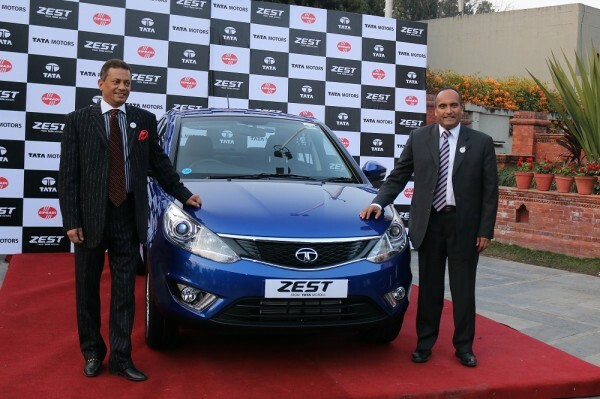 Tata Motors today announced the commercial launch of the Zest, a compact sedan in Nepal. Zest from Tata Motors, clearly showcases the three key vectors of DesigNext, DriveNext and ConnectNext to deliver best-in-class performance with unparalleled driving pleasure in a spacious, dynamic, comfortable and stylish sedan. 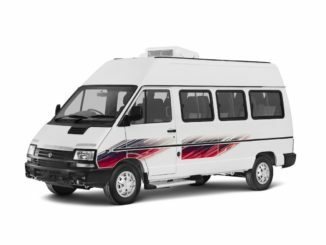 With a start price of 24.5 Lakhs Nepali rupees, ex-showroom, for the petrol Revotron 1.2T model and 30.75 Lakhs Nepali rupees, ex-showroom, as the start price for the diesel variant, the company today opened sales across Nepal of this award-winning** car, which has been a success in India market. 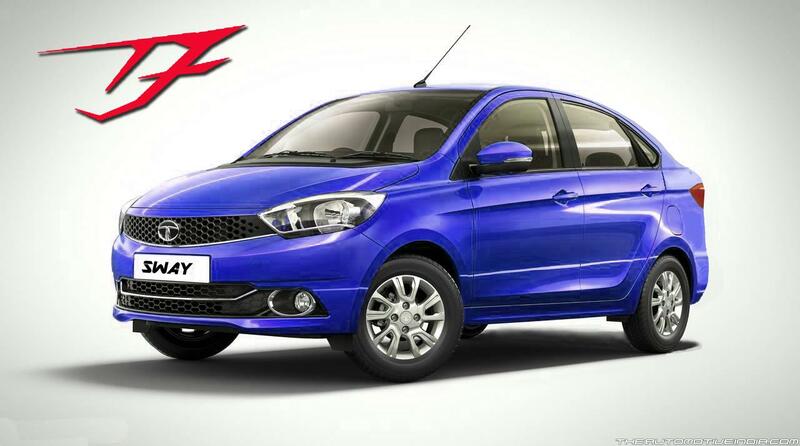 The Zest will be on sale across the country in over 18 Tata Motors Passenger Vehicle sales outlets from today. As the name suggests, the all-new Zest exudes excitement and energy and is designed to give the driver total control of the vehicle. 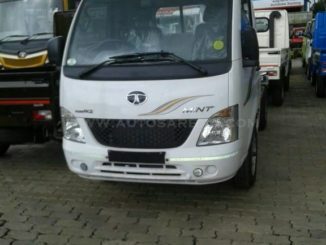 Zest is the first vehicle from Tata Motors that exemplifies the HORIZONEXT themes of Intense Product Focus, World-class Manufacturing Quality, Enriched Purchase Experience and Consistent Quality of Service for its passenger vehicle business. 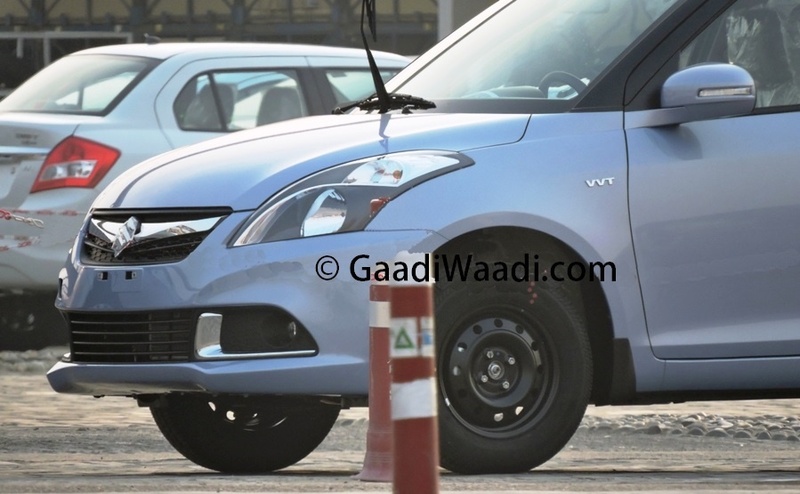 The Zest is being manufactured at the Pimpri and Ranjangaon Plant in Pune, on a completely modified X1 platform. The all-new styling of the Zest is based on its new design direction of ‘Confident Dynamism’. With a classy new forward pouncing stance and well-sculpted body, the design portrays a sense of power and agility. The car has a good balance of elements like a sedan profile, the strong wedge of the shoulder-line, the wide stretched front, rear and sporty 15” Alloy Wheels. All these elements combined with a signature Buzz Blue colour and a well sculpted body, add to the dynamic and stylish stance of the new Zest. Riding on Tata Motors DNA of being spacious and safe, a greater attention to detail towards the vehicle’s interiors is another defining factor of the Zest’s design. Reminiscent of luxury cars, the Zest comes with premium interiors, a neatly-layered dashboard with dual-tone – Java Black & Latte, for a stunning and high-tech inviting feel. This is coupled with a well-integrated infotainment screen and Tata Motors next-generation 3-spoke steering wheel. 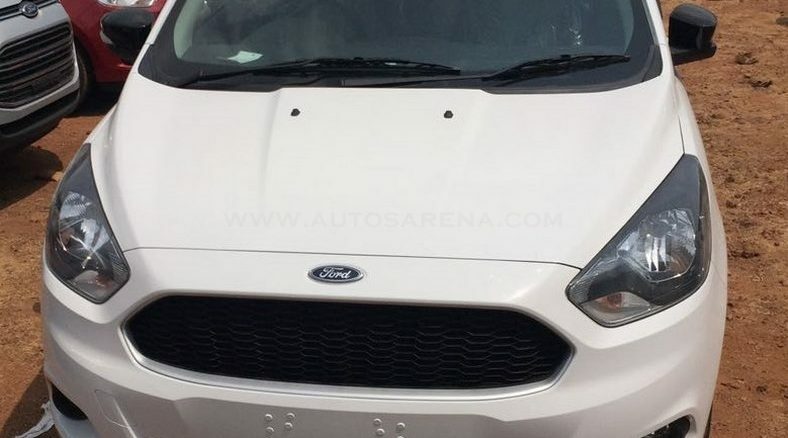 The vehicle’s wing-shaped central instrument cluster Bezel, gear knob, precisely detailed air vents and sculpturally designed console, connected in a single wing-shaped graphic, ensure that the Zest has the best design attributes. The Zest will come with the Revotron 1.2T, the first engine from the new family of gasoline engines from Tata Motors and will be India’s first Turbocharged Multi-point Fuel Injection (MPFi) Petrol engine. It has been developed in conjunction with global consultancies and suppliers to deliver world-class performance in terms of power, torque and efficiency. It has undergone over 300,000 hours of rigorous developmental and research testing. The Zest diesel comes with most acclaimed 1.3 litre Quadrajet Diesel engine coupled with the first-in-class F-Tronic technology-enabled, 5-speed Automated Manual Transmission (AMT), with both Automatic and Sequential mode of gear-shifting, developed in collaboration with Magneti Marelli, Italy. Both petrol and diesel powertrains are BS-IV compliant and are capable of meeting future norms. Multi-Drive Modes is one of the key innovations, introduced by Tata Motors with the Revotron 1.2T turbo engine in the Zest. The Revotron 1.2T engine offers the optimum blend of performance, refinement and fuel economy. The unique first-in-segment ‘Multi-Drive Mode’ technology enables switching between SPORT, ECO and CITY mode, along with a superior throttle response. The SPORT Mode gives the sharpest throttle response and quickest acceleration from the Zest. The140Nm of torque from the Revotron engine will deliver a more dynamic drive, enabling the driver to exploit the full acceleration and driveability of the Zest. In the ECO Mode, performance and throttle response is reduced to maximize fuel economy but with a comfortable drive experience. It is ideal for Highway cruising. In the CITY Mode the Zest has the perfect balance between performance and economy. Power delivery is smooth and throttle response is linear leading to agile drivability to easily navigate city traffic conditions. The Zest Diesel AMT will have dual drive modes – City and Sport mode. The manual also is shift assist manual engaging the consumer into suggesting down and up shifts. The Zest will have ePAS (Electric Power Assisted System), with speed sensitivity and ‘Active Return’ function – a first in the segment. A silent, quieter cabin will ensure a pleasant and superlative drive experience. The most advanced, 9th generation ABS with EBD (Electronic Brake Distribution) from Bosch for improved braking efficiency, and with yet another segment-first, the Corner Stability Control feature, add to the safety feature of the vehicle. Dual Airbags and Rear Park assist further add to the safety features of the Zest. The dual-path suspension, coupled with a zero-pivot sub-frame and Anti-roll bar, ensures a smooth and comfortable ride. The improved suspension provides effective isolation from road inputs, without compromising on body control, translating into a class-leading balance between ride and handling for a comfortable and grounded drive. Equipped with a high boost turbo-charger, the Revotron 1.2T delivers best-in-class power of 90PS @ 5000 RPM and best-in-class peak torque of 140 Nm @ 1750-3500 RPM. The car has a top speed of 154 kmph. The Diesel 1.3L Quadrajet engine produces 90PS @ 4000 RPM and 200 Nm @ 1750 -3000 RPM of uninterrupted flat torque. The car has a top speed of 158 kmph. The Modes give the car best-in-class fuel efficiency in real world driving conditions. As per the Automotive Research Association of India (ARAI) certification, the Revotron 1.2T delivers 17.6 km/litre and the Diesel delivers 23 km/litre, under mandated test km/litre in normal conditions. Understanding the dynamic consumer’s increasing need, Tata Motors offers its customers with the ConnectNext experience. The Company has worked closely with HARMANTM to design and engineer an acoustic audio and infotainment system, with best-in-class features like 5” ConnectNext Touchscreen Infotainment System, Advance voice command recognition, SMS notification and read outs, Fully Automatic Temperature Controls on the touchscreen, which will allow the user to stay connected. The Zest will be available in four trims in Petrol – XE, XM, XMS and XT and five trims in Diesel – XE, XM, XMS, XMA (AMT) and XT. The range will be available in 6 exciting colours – Buzz Blue, Venetian Red, Sky Grey, Dune Beige, Platinum Silver and Pristine White. To enhance the customer engagement levels at the dealerships, Tata Motors has upgraded its showrooms, to deliver customers desired world class ambience, purchase experience and after-market service. These reformatted dealerships with the new Tata Motors retail identity will take the dealership experience to the next level. All Tata Motors Passenger Vehicle service centres will offer latest and most comprehensive customer service initiatives, launched by the company recently. All variants comes with 2 years and 50000 kms warranty and 4 free services. Customers can also download the mobile app “TataMotorsConnect” through which they can book cars for service, locate nearest dealer etc.